MCN expert Chris Dabbs is here to answer any questions you have on anything bike related. Q. 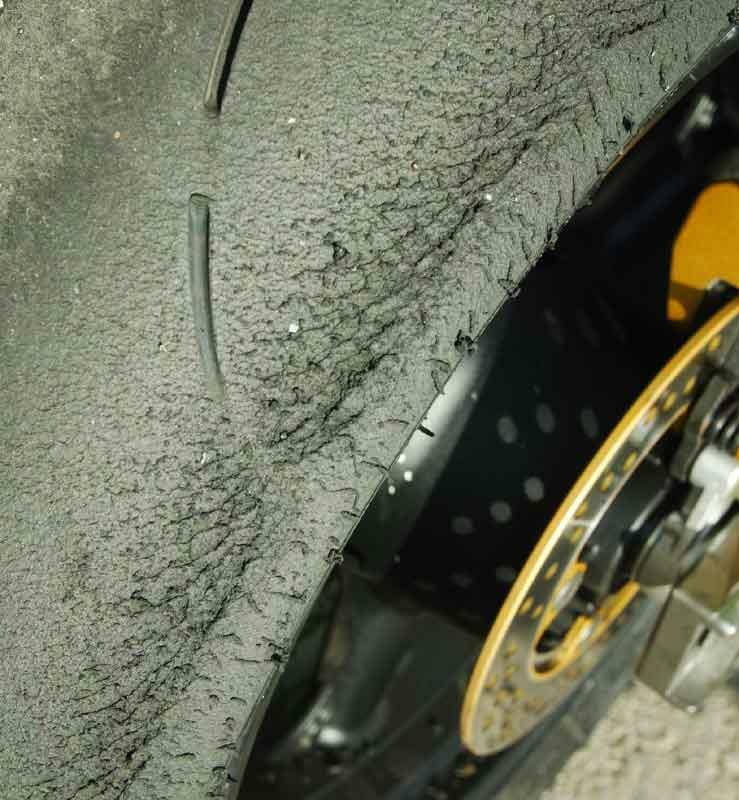 My Kawasaki ZX-636 is fitted with its standard Dunlop tyres and I have at least 12mm of unused rubber on ether side of the rear tyre, no matter how hard I ride. When I go into a bend no matter how hard I try I can only get the bike over so far and no more. I have often heard the expression that you have to "muscle" a bike around corners. What does this mean, I don't use any force at all, I just lean into the bend with a light touch on the bars. What am I doing wrong? Should I be putting pressure on the bars to force the bike over? A. You are doing everything right! There is no need to muscle a bike around, it's wasted energy and actually makes the bike feel unstable. Less lean angle is a good thing because it means you have more grip. The less the bike is leant over the bigger the contact patch of the tyres. However, lean angle and speed are directly related as the faster you go through a corner the more centrifugal force you create which means you need to lean the bike over more. It's a constant battle of top racers to balance between grip, lean and speed.